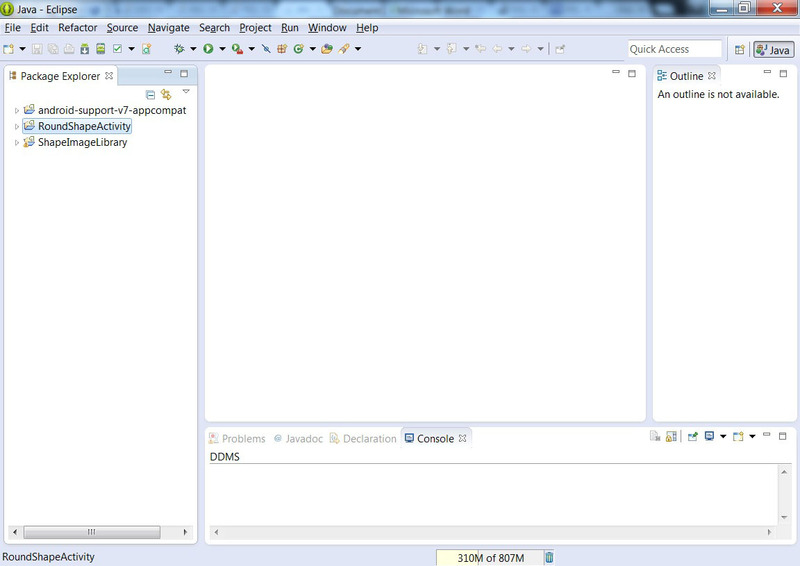 Suppose you are working on a project on eclipse, which have external libraries and jars files inside your project. 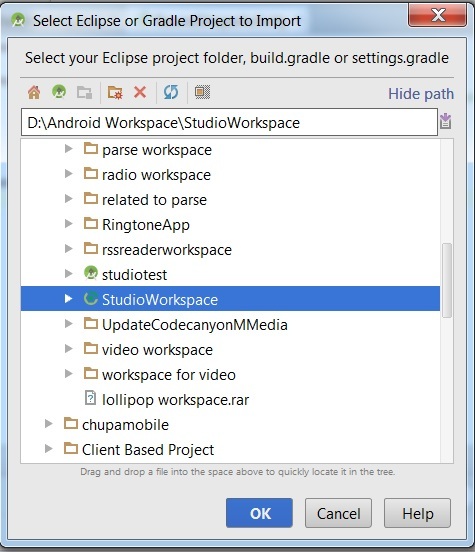 And you have to switch on Android Studio than it’s not like to eclipse that import all project and libraries than add them directly into project. 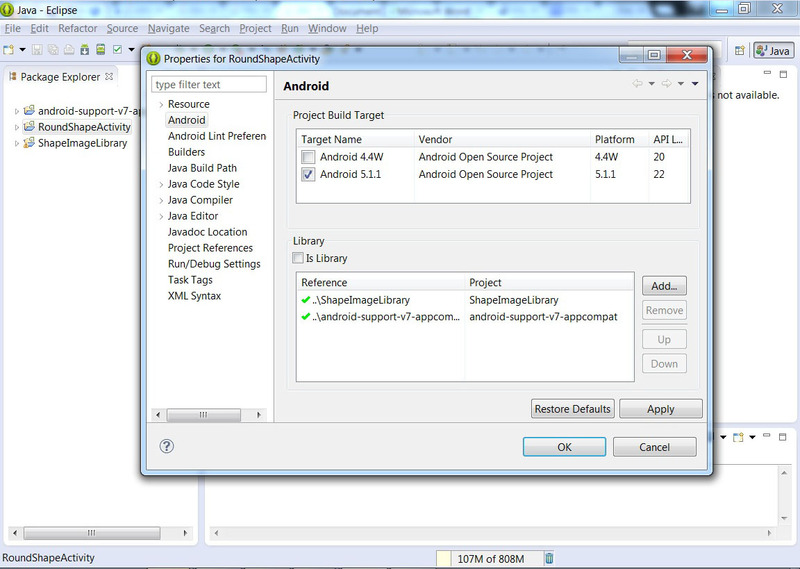 Android studio use gradle for dependency of libraries and jar file. Here is a simple example of whole process. Here you can see there is three project is present in which RoundShapeActivity is your main project and other two is library project. 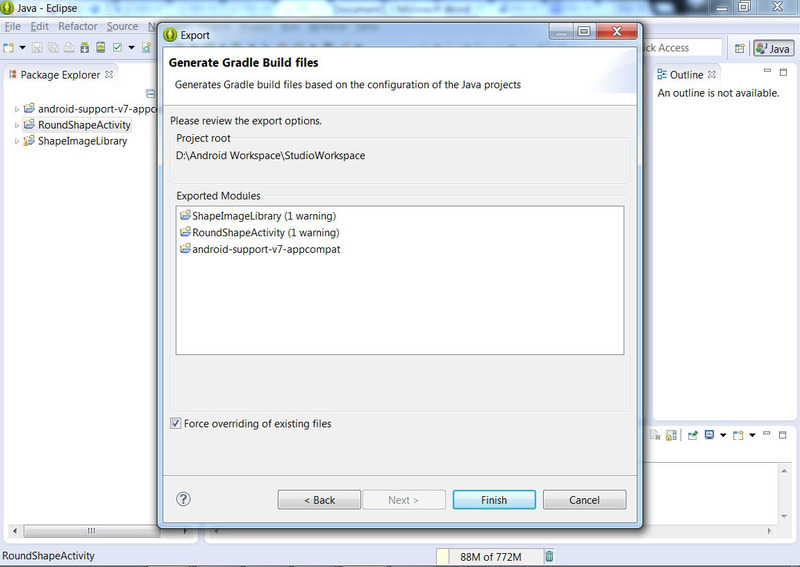 Step1: Right Click on your main project , select “export” than select “Generate Gradle Build Files”. 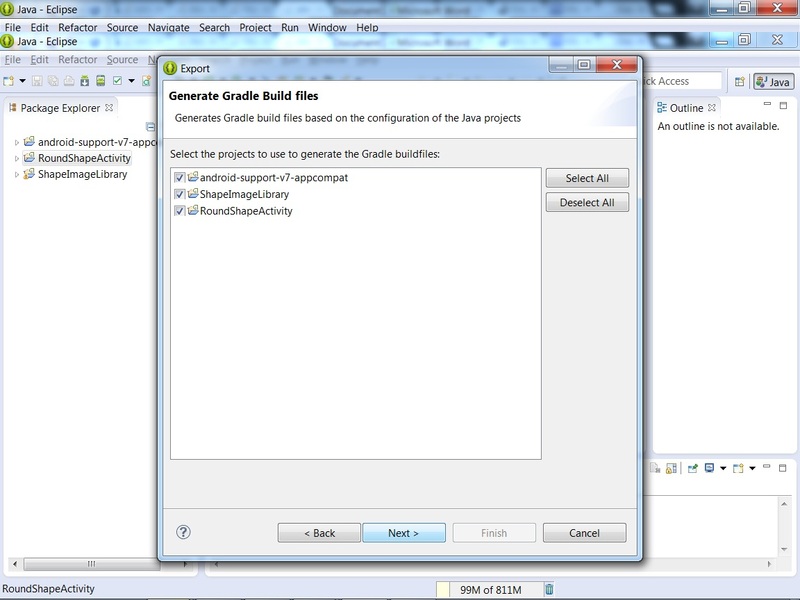 Step2: Select project to generate gradle build file. Step3: Now finish this process. 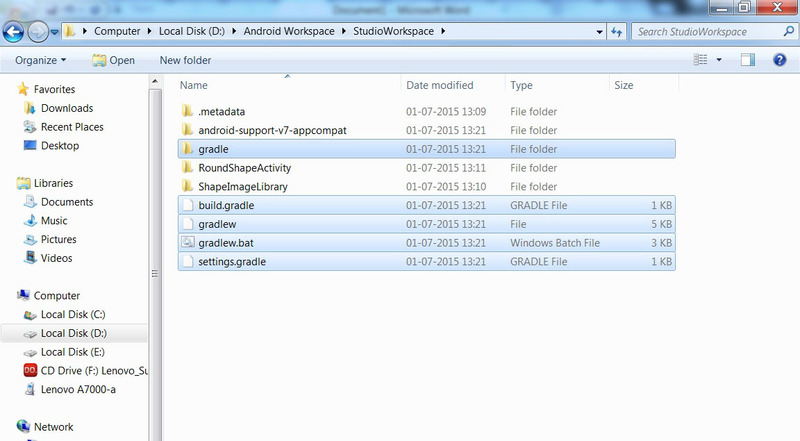 Go to your workspace and check there will be gradle build files are generated. 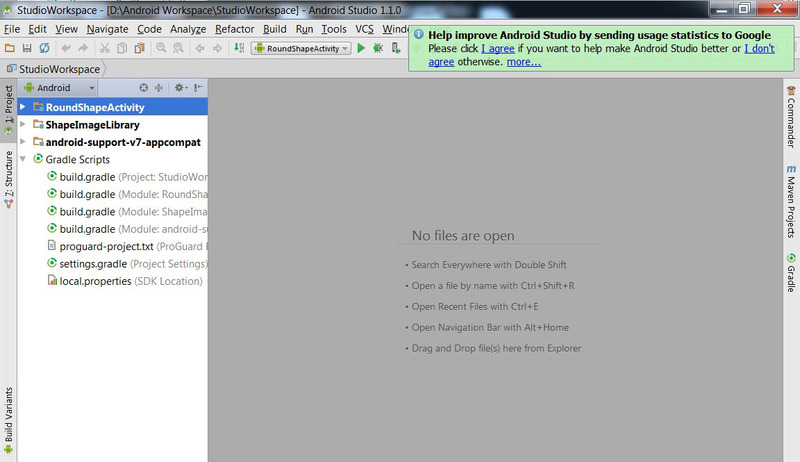 Step4: Open your Android Studio and select “import project” . 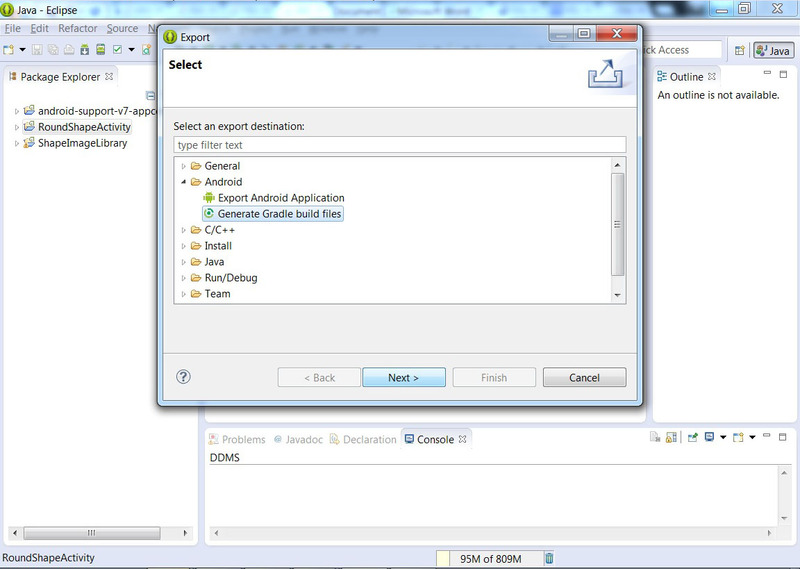 import your root folder of project, where gradle build file are generated. 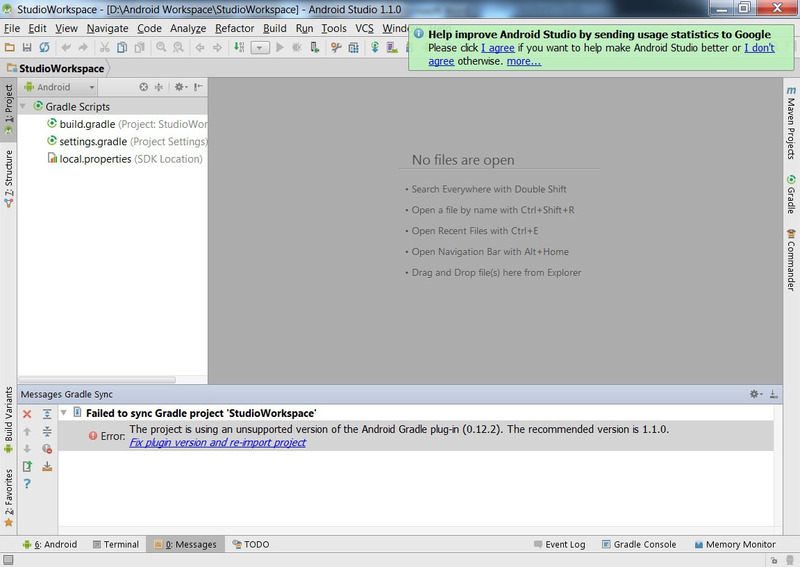 Step5: If your version of the Android Gradle plug-in () is not match than fix it or download by clicking on below link on android studio. Finally you will get screen like this. Step6: Now run your project. In this case open build.gradle of your project and add this line.